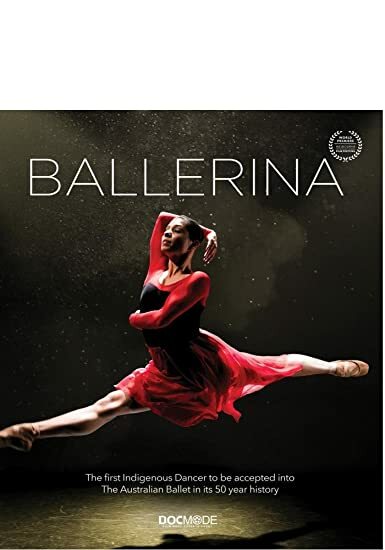 Ballerina - BUY THIS BLU-RAY! In October 2012, Ella Havelka became the first Indigenous dancer to be invited into The Australian Ballet in its 50 year history. It was an announcement that made news headlines nationwide. A descendant of the Wiradjuri people, we follow Ella’s inspirational journey from the regional town of Dubbo and onto the world stage of The Australian Ballet. Featuring intimate interviews, dynamic dance sequences, and a stunning array of archival material, this moving documentary follows Ella as she explores her cultural identity and gives us a rare glimpse into life as an elite ballet dancer within the largest company in the southern hemisphere. THEN SEND IN YOUR NAME, ADDRESS & 5 COMMENTS TO contests@efilmcritic.com. Put "DO BLACK SWAN" in the subject line and cross your fingers. We will draw names and one of the prizes could be yours. Only 1 entry per household.